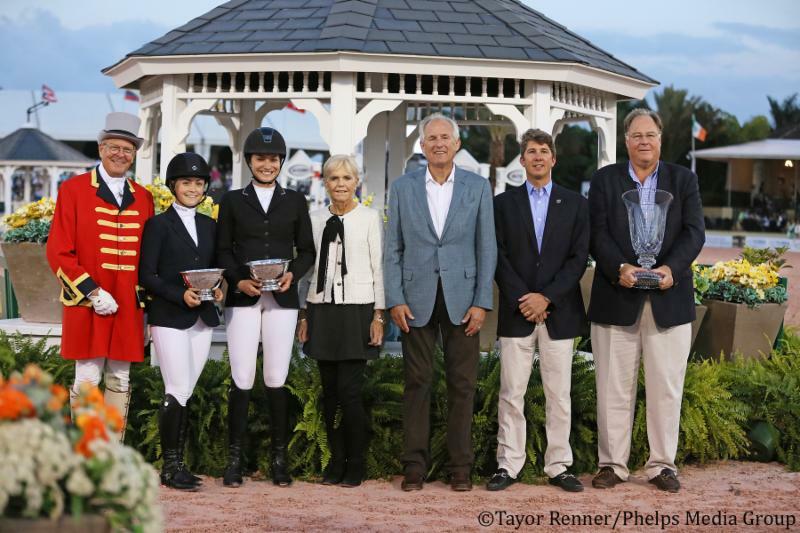 Left to right: Chloe Reid, Catherine Tyree, Linda Hough, USET Foundation President and CEO Jim McNerney, Treasurer Philip E. Richter and Vice President Bill Weeks in the 2017 Maxine Beard Award presentation at the Winter Equestrian Festival. Wellington, Fla. – March 25, 2017 – The United States Equestrian Team (USET) Foundation is pleased to announce that this year’s recipients of the prestigious Maxine Beard Award are Catherine Tyree and Chloe Reid. 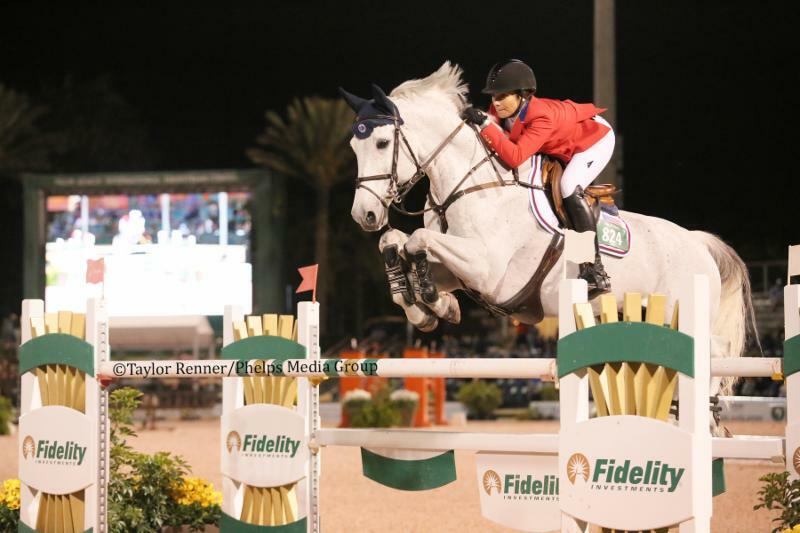 Hailing from Chicago, Illinois, and Washington, D.C., Tyree and Reid will be adding this award to their already impressive lists of show jumping accomplishments. 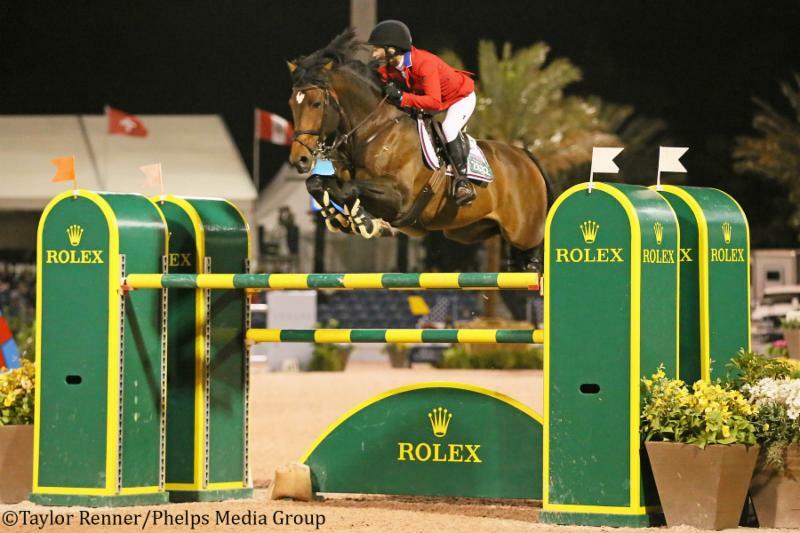 Chloe Reid and Codarco competing in the $150,000 Nations Cup CSIO4* at WEF. Some of Reid’s many successes in 2016 include being chosen to represent the United States on the Nations Cup team in Samorin, Slovakia, aboard TNT Explosive. Reid also piloted Codarco to a third place finish in a CSI3* grand prix and a top ten finish in a CSI5* grand prix in Wellington. Looking ahead, Reid says she will return to Germany upon completion of her spring semester at the University of Miami to continue her training with the Beerbaums. Her ultimate goal during the summer is to make it onto more Nations Cup teams and represent the United States.